The second season of Fractured Lands goes live today and is available on Steam. With it, Unbroken Studios shakes the game up by putting a new spin on several features. 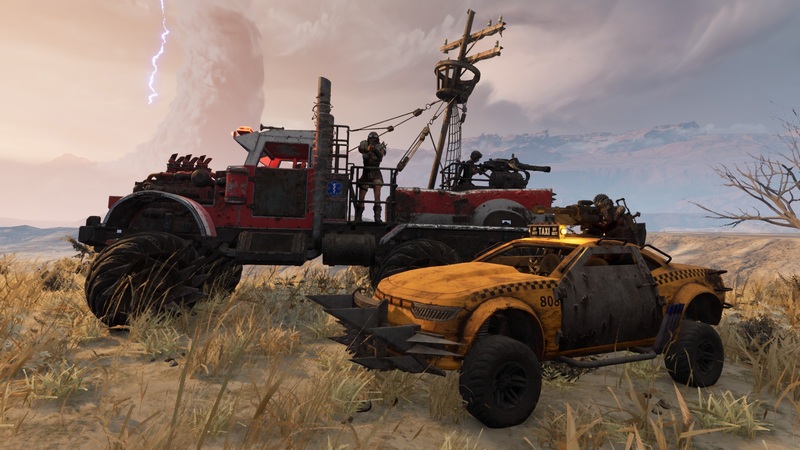 As vehicles are the most important and powerful weapon in the game, a new vehicle is being added: The semi-truck, “JUGGERNAUT”. A new Battle Royale mode also comes in this update, as well as 100+ new vanity items. Additionally, Fractured Lands is available on The Humble Store for $18.75 (a 30% discount) and Green Man Gaming for $18.75 (a 30% discount). As a bonus, Fractured Lands Season 2 will include two custom tattoo pieces created by notable Los Angeles artists, Marina Major of DARK HORSE TATTOO and “The Witchdoctor” Miryam Lumpini.